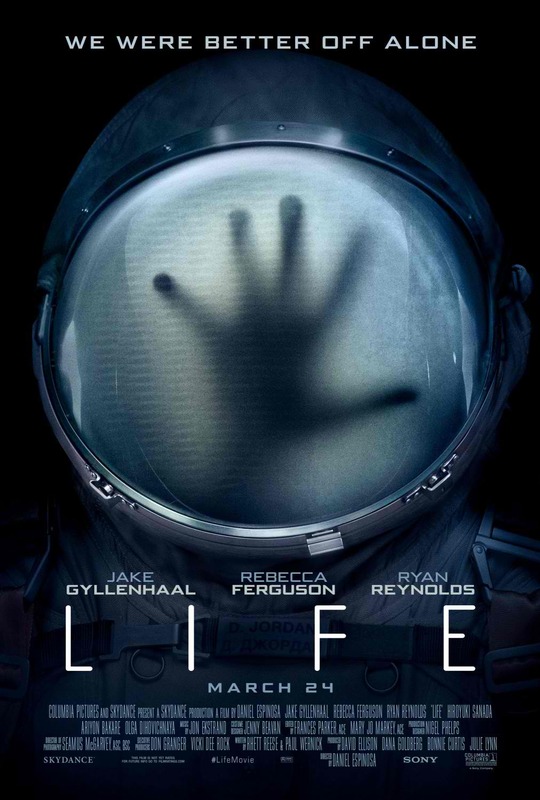 Home / FILM POSTERS / Brand New "Life" Posters Warn Humans "Were Better Off Alone"
Brand New "Life" Posters Warn Humans "Were Better Off Alone"
“We were better off alone,” says the mysterious tagline of one of two newly released posters for Columbia Pictures' upcoming outer space sci-fi thriller, Life from director Daniel Espinosa and starring Jake Gyllenhaal, Rebecca Ferguson and Ryan Reynolds. 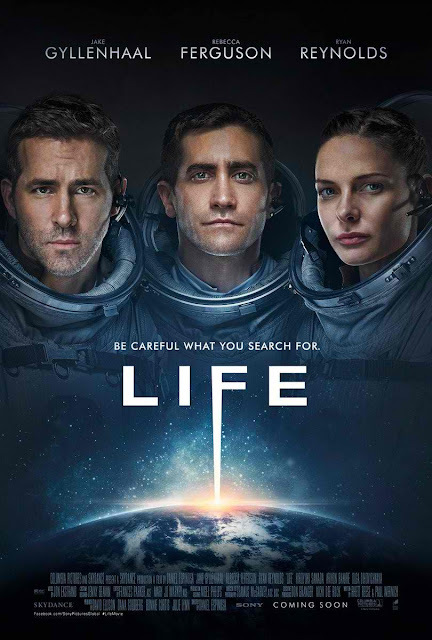 The three leads are featured together in astronaut uniforms in the second one-sheet. Take a look at the posters below and watch Life when it opens in Philippine cinemas on March 24, 2017. Life also stars Olga Dihovichnaya, Ariyon Bakare and Hiroyuki Sanada.